It's Friday!! The one day you don't want to have to cook. On Friday's I rather just grab something from somewhere, go out to eat or eat leftovers. Anything but having to turn my burner on. On this day I think something quick needs to be done. 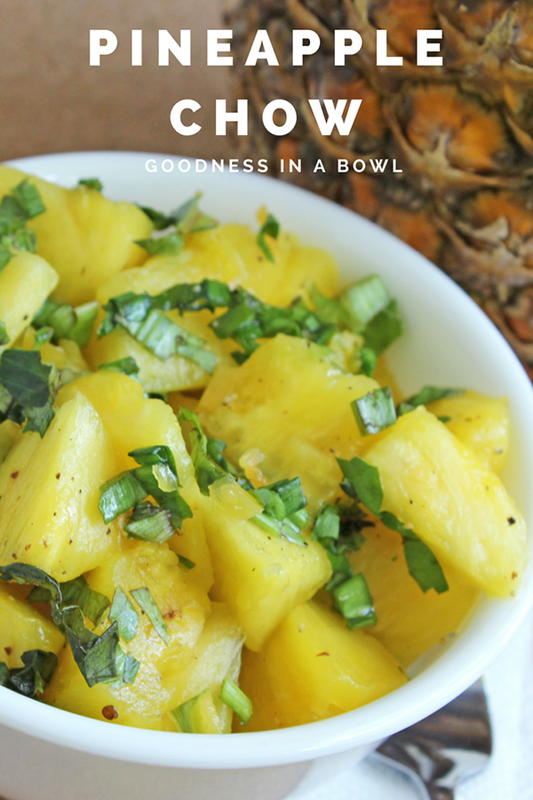 So for this Friday quick hit, I decided to go with something a bit more in the snack category: Pineapple Chow. You're probably wondering what is chow? Chow is one of the top street foods in Trinidad and Tobago. It's basically chopped up fruits with salt, pepper and other options of seasoning depending on your taste. It's one of those snacks you can grab in a bag and walk and eat. We will "chow" just about anything we can find that is a fruit. 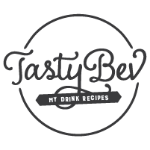 Mango, cherries, pineapple, watermelon, chennet, mandarin, five fingers (Starfruit) ... if it's a fruit, it can be chopped and seasoned. Cucumber chow is also a thing. 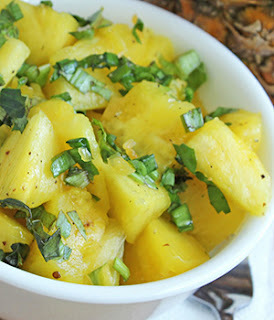 This is such an easy recipe all you need is some pineapple, chadon beni (or cilantro for a substitute), pepper, lime juice and salt & pepper to taste. Some people also add garlic to theirs so that can be optional. 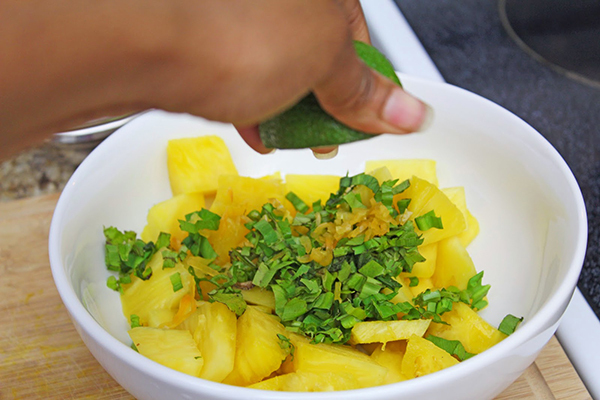 The most work you are probably going to do is the cutting up of the pineapple if you are using a whole one. 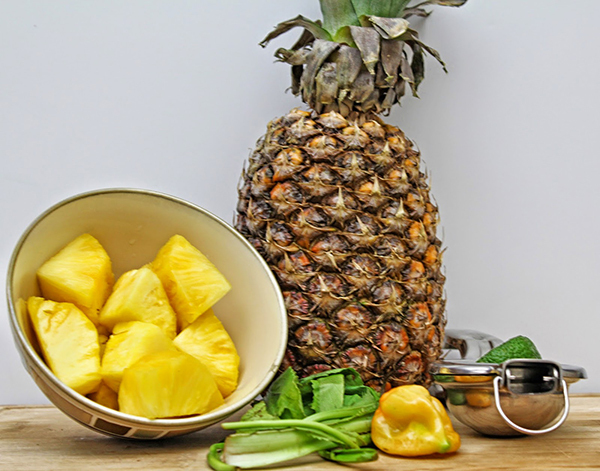 If your store sells pre cubed fresh pineapple you can grab a container of those. Chop everything else up (except the lime) as fine as possible. You can use the seeds of your hot pepper if you want it to be extremely hot. I don't really like that much heat, so I took my seeds out. Some people even prefer eating it cold. However you choose, just dive in!! This dish looks amazing and Thanks for the great recipe! Hey, chadon beni (or shado beni) is also called culantro (not cilantro). I usually find it at caribbean/spanish markets.